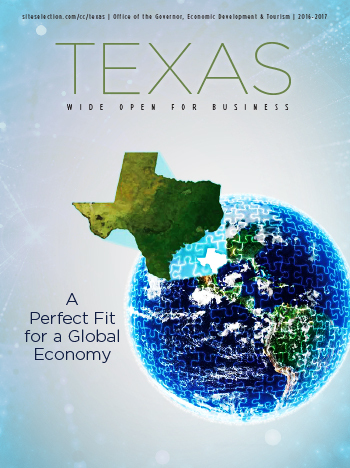 As the nation's top exporter, leader in job creation and home to 54 Fortune 500 companies, the Texas business story is a tale that everyone should hear. Texas adopts a plan to keep raising the bar on economic development achievement. Alternative Energy: Early Bird: The Texas tapestry of renewable power is richer than you think. Corporate executives dish on the factors that swayed them to locate HQ projects in Texas. Texas has more logistics assets — from rail infrastructure and seaports to air cargo facilities and roads — than most countries. The climate in Texas lends itself to fine wine and flavorful brews.